Record Store Day is this Saturday (4/22). If you’ve been wanting to pick up some of this year’s exclusives, but you need something new to play them on, and you’re trying to save some cash, you may be in luck. We’re partnering on a contest to give away a turntable, speakers, and some RSD2017 titles, including The War On Drugs, John Coltrane, Alanis Morissette, Kevin Gates, and more. 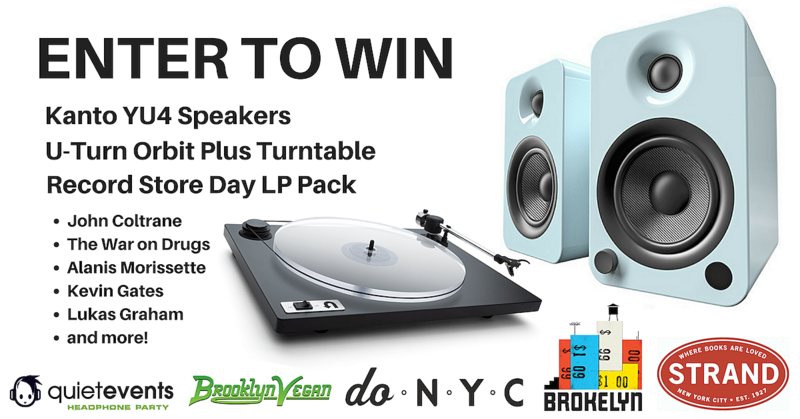 The prize includes a U-Turn Audio Orbit Plus belt-drive turntable with Ortofon OM5E cartridge, and Kanto YU Powered Speakers with built-in phono pre-amp and bluetooth capabilities. Meanwhile, a short snippet of new The War On Drugs music (and some in-studio pictures) is up on the band’s website.